Here she is, doesn't she look so cute! For the wings I followed the directions on Martha Stewart's website for a bluebird costume. I chose felt in similar colors to the yarn used on the owl hat. I made the wings slightly smaller for Emma, so I adjusted all the measurements down to 2/3 the original size. I didn't worry too much about getting the shape the exact same as the website, just approximately the same and trimmed any overhanging felt after gluing all the pieces together. 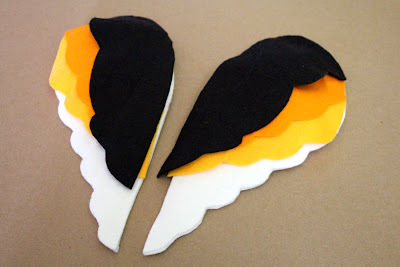 I then attached the elastic and velcro to the underside of the wings with fabric glue. 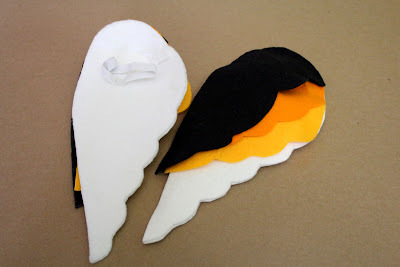 For the "feathered" onesie I cut out "feathers" from the orange and white felt remaining from the wings. 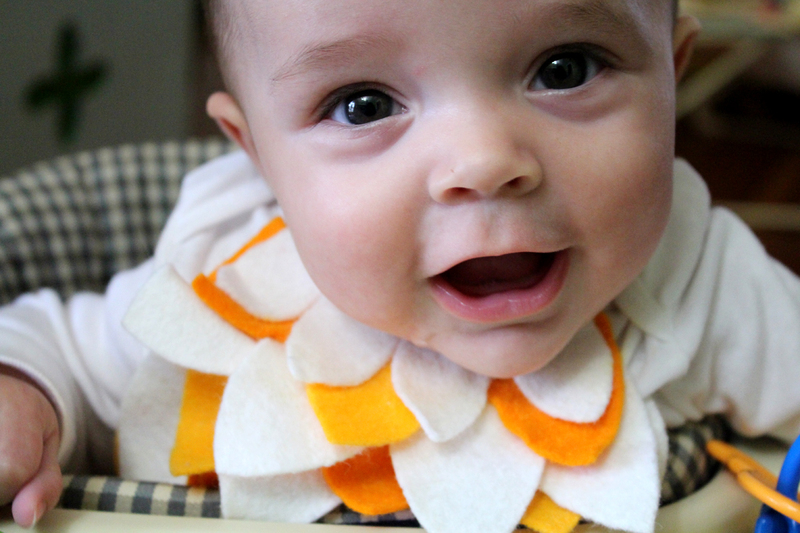 I staggered white "feather" rows with orange "feather" rows and glued them directly to the onesie. I also glued the corresponding velcro piece from the wings to the shoulder of the onesie to help hold the wings in place. And there you have it, my first attempt at making Emma a costume. 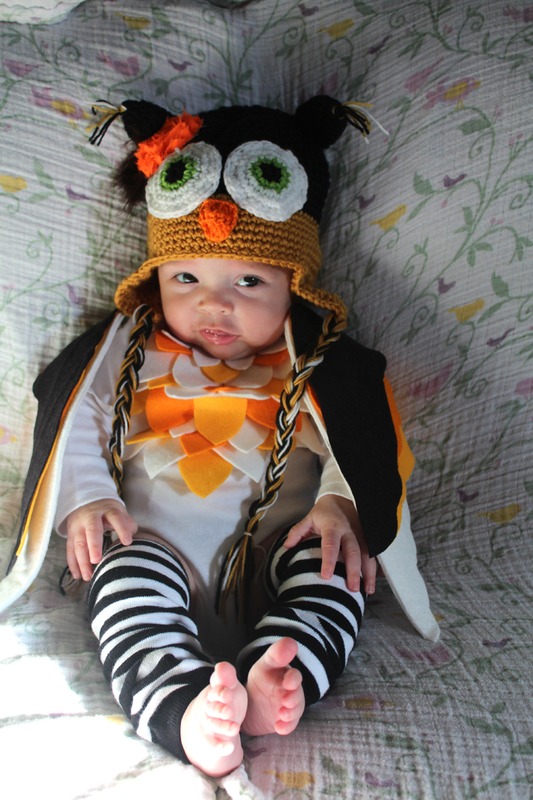 The wings only lasted for picture taking before those had to be taken off, but she was fine wearing her onesie all day and doesn't mind the owl hat!